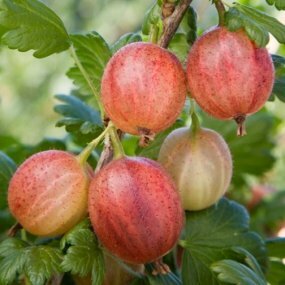 As a special deal for World Radio Gardening subscribers we are offering a 15% discount on selected soft fruit bushes. Delivery is within 28 days. 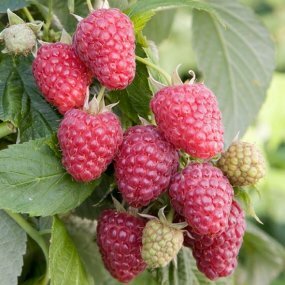 Raspberries are an excellent crop to grow as once established they will crop heavily, producing up to 1.5kg (over 3lbs) of fruit per cane for 10 years or more. They can be planted as close as 40cm (16in) apart with a gap of 1.5m (5ft) between rows. When planting it is important to choose a well-drained, sunny or semi-shaded spot and to incorporate plenty of compost or well-rotted manure. 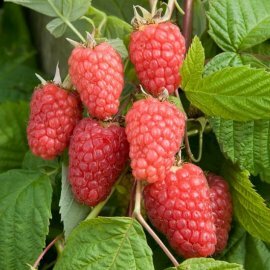 Our hand graded raspberry canes are raised on selected sites in the U.K., inspected by DEFRA for pests and diseases and certified under the Plant Health Propagation Scheme (PHPS). 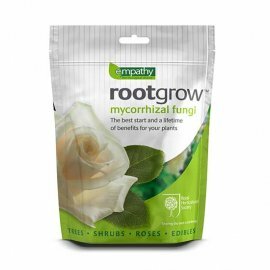 For better establishment we strongly advise using Rootgrow when planting (as recommended in RHS planting guidelines). 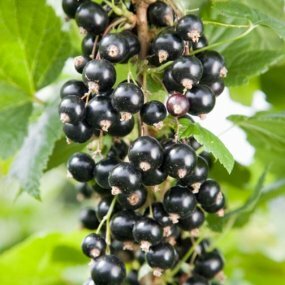 This ‘big bud’ resistant blackcurrant is particularly suitable for organic gardeners. 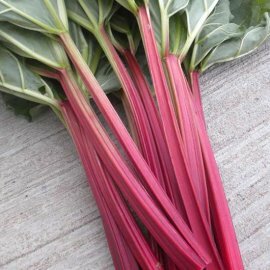 It is one of the best flavoured varieties, exceptionally heavy yielding and also resistant to mildew, leaf spot and rust. 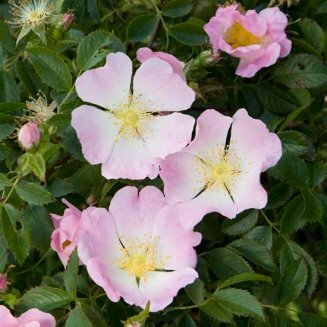 The bush is vigorous and tall and is therefore best planted in a sheltered site. 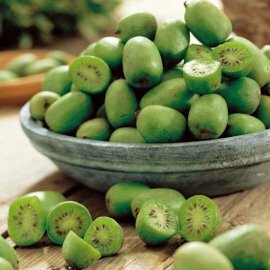 A new dessert/culinary gooseberry producing large, sweet red fruits that are delicious eaten fresh. The bush is vigorous, mildew resistant and very cold hardy. A reliable cropper. Virtually spine-free. One of the best dessert varieties available! 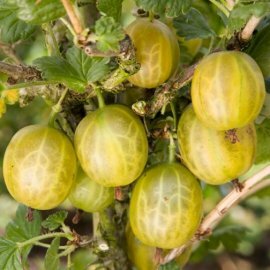 A mildew resistant yellow dessert gooseberry ideal for organic growing. Heavy crops of medium-large berries with an excellent, aromatic apricot-like flavour. Excellent winter hardiness. 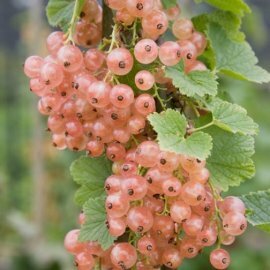 A very old French variety producing beautiful translucent pink currants that have a wonderful scent and are bursting with sweet, juicy flavour. 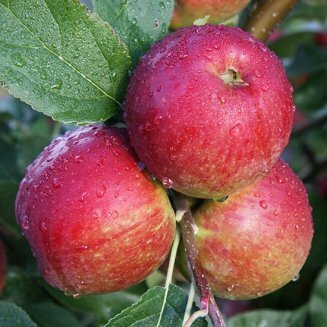 This impressive new late summer fruiting variety produces heavy crops of exceptionally large fruits with an excellent sweet flavour. Shows good resistance to root rot so more able to cope with wetter soils. The canes are only moderately spiny. Season: mid/late Summer (early July - early Aug). 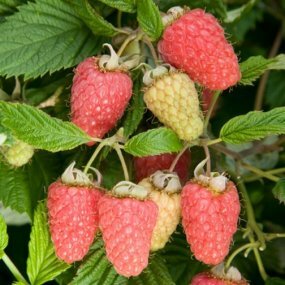 An outstanding new spine-free, autumn fruiting primocane raspberry. 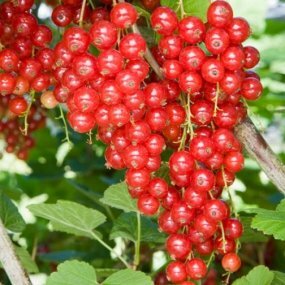 Superb flavour and stunning berry size make this variety second to none for picking and eating. The berries are 30% larger than Autumn Bliss and freeze exceptionally well. Season: Autumn (late July - Oct). The best early summer fruiting raspberry currently available. The succulent berries have a very good flavour and plug effortlessly, making picking easy. The canes are spine-free with a compact habit that is easy to manage. Disease and virus resistance is excellent. Season: early Summer (late June - late July). A very popular early ripening redcurrant producing heavy crops of large attractive berries that are borne on long strigs. Very good flavour.